Having a small and cramped bathroom makes it difficult for you to move around. As you know, a bathroom needs to have enough space for you to move while taking a bath or doing personal stuff. If you have a cramped bathroom due to budget constraints, lot restrictions, or any other reasons, there's nothing to fret about as there are a lot of ways to make it looked bigger and spacious. So here's how to maximize the space in your bathroom. If you still use a shower curtain in your bathroom, better get rid of it and change your shower room cover with a glass to lighten up the area. It will also open up space in the shower room making it a part of the entire area. You can also add larger mirrors inside the bathroom to make it look bigger and more refreshing. A mounted sink can sometimes obstruct the only lane in the bathroom. By placing the washing sink in the corner, there will be more space in the center of the area. You should avoid installing too many cabinets in the room as it will consume more space in the area. If you’re thinking of renovating your bathroom, you could check home improvements Melbourne for tips and know how’s of properly renovating your bathroom. Indirect lighting is essential if your bathroom doesn't catch the sunlight. You can install recessed lighting in the entire room to make the area feel comfy and warmer. Recessed light is unobtrusive which is perfect if you want to focus on stuff inside your bathroom. Paint color usually matters when it comes to the small and crowded rooms. If you have a small bathroom, soft and bright colored paints can make the entire area seem big. Of course, colors will always be a matter of taste for the homeowners. Opting for dark colors can make the bathroom looked cramped and smaller so it wise to consider the size of the bathroom when choosing paint color. If you tend to have towel bars, which is also a necessity in the bathroom, you can get rid of it. Instead, change it to towel hooks as this accessories can save more space than of having towel bars. Also, roll your towels so that you'll get more space inside the bathroom. If you have a bathroom that's beside a window, you can install a bigger window to at least expose the sunlight inside the entire room. Natural light is a better option than having nothing at all. Also, there's no brighter light than a skylight. The bathroom is one of the essential areas in your house, and you can't possibly start and end your day without going into it. It's one of the most visited rooms in your home, so it's prudent to make it comfortable as it can be. 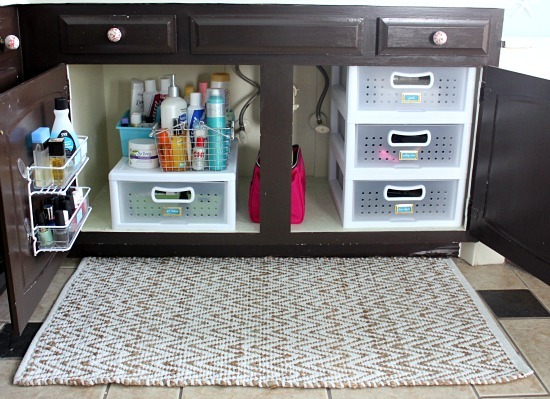 It's up to you if you want to add or remove something in your bathroom to make it cozy. If so, consider these tips to make your bathroom safe and satisfying for you and the guest. Phoebe Jones is a full-time mother and an art enthusiast. She loves painting a portrait of her family. On her free time, she likes to go to the park with her children.